Screenspares is driving forward to be one of the leading supplier of conveyor belting and components in Ireland. 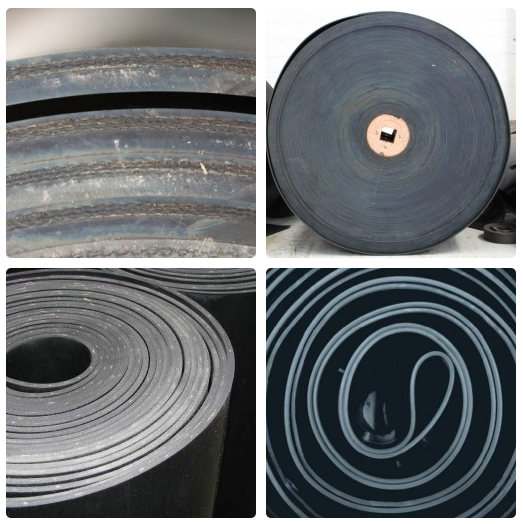 Our quality rubber conveyor belts are produced under stringent conditions to ensure the highest quality. All belts are supplied with a 12 month guarantee. Our rubber conveyor belts, with EP inserts, perform daily under tough conditions in the steel, metallurgy, coal mining, chemical and potash industries, lime, rock & sand production and above all in the continuous handling of bulk goods. In addition, our range of high quality rubber conveyor belts incorporates from 1 to 5 ply’s, producing a high weft strength, which in turn enables the belts to work efficiently under extreme loads and maximum stress. Belts are available in a variety of widths up to 2400mm. Depending on the application, e.g. low stress temperate climates to heat resistant applications of 180ºc to 220ºc, our range of rubber conveyor belts are available with various cover thicknesses. We offer an extensive range of high quality belts with covers from 3mm + 1.5mm to 10mm +3mm. 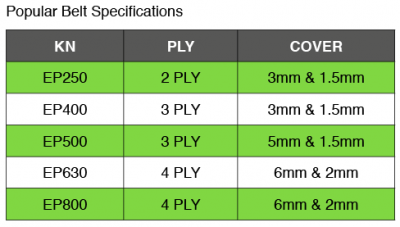 Rubber covers are developed from blends of natural and synthetic rubber for most varied applications.